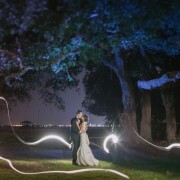 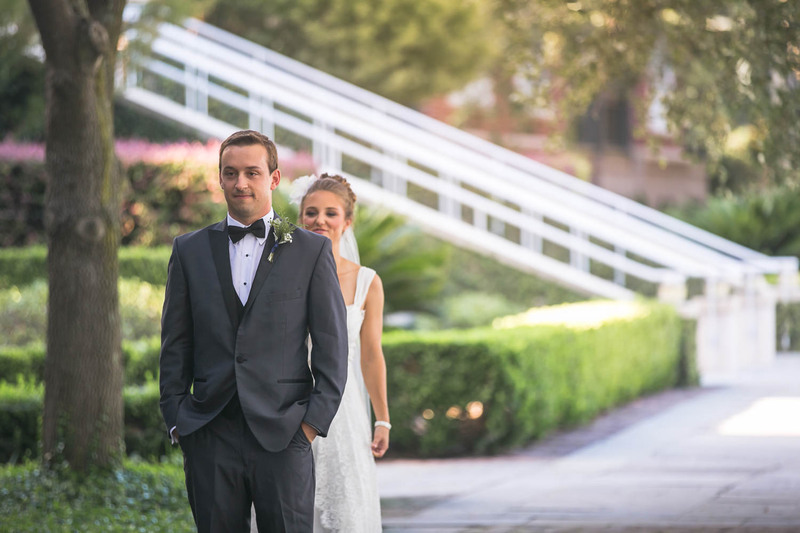 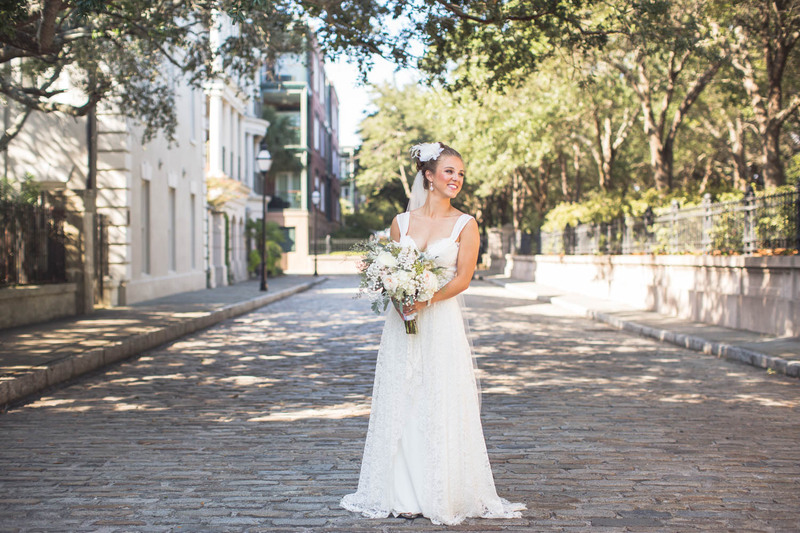 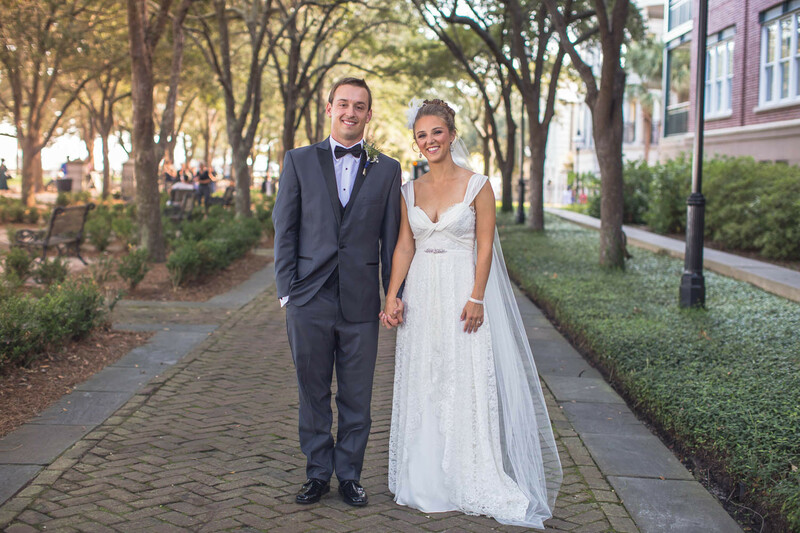 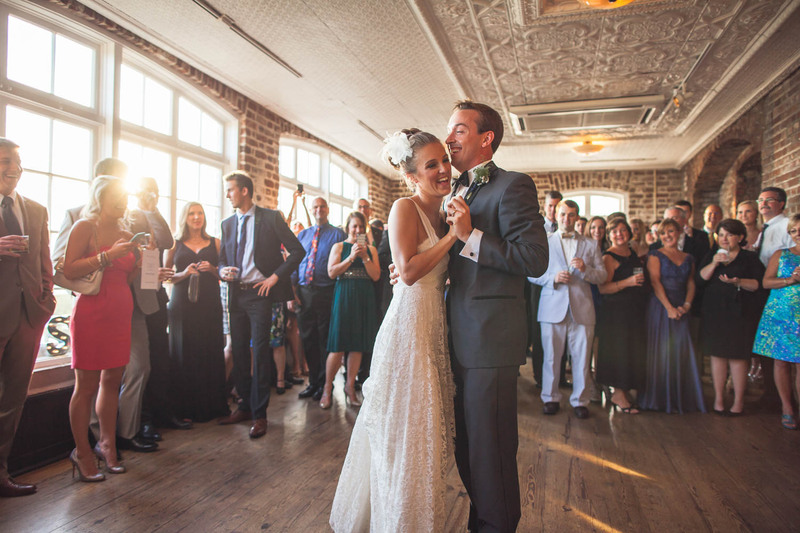 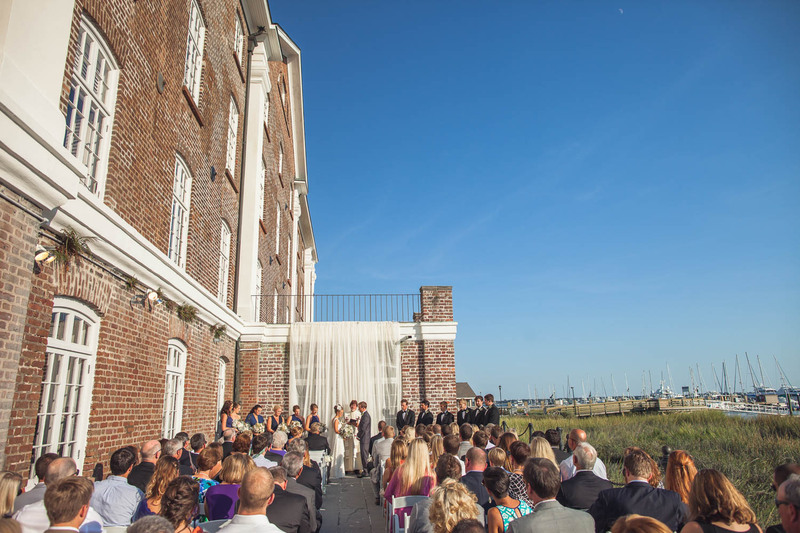 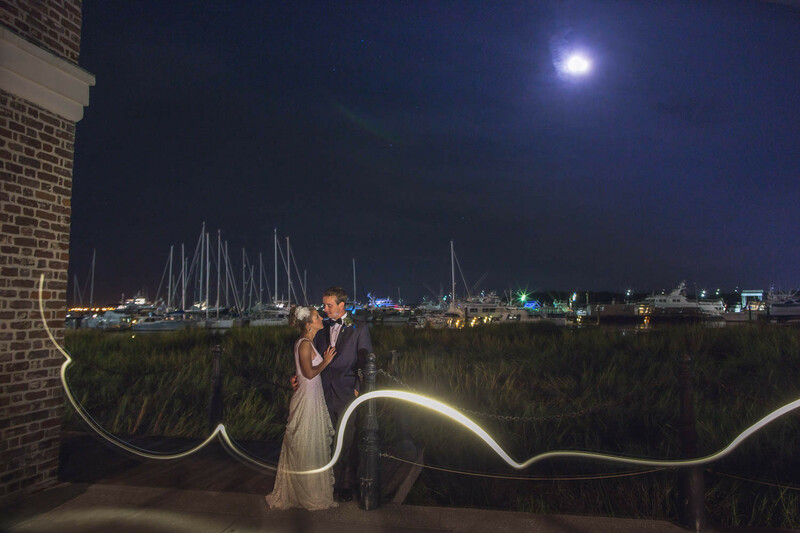 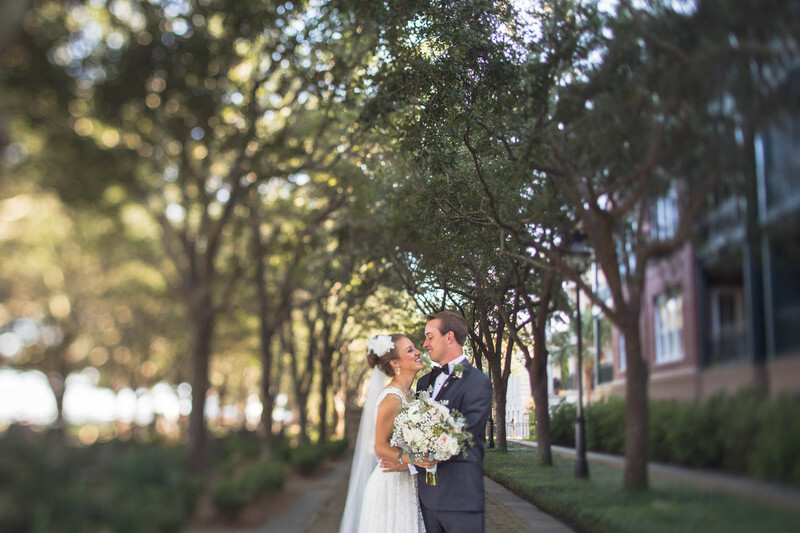 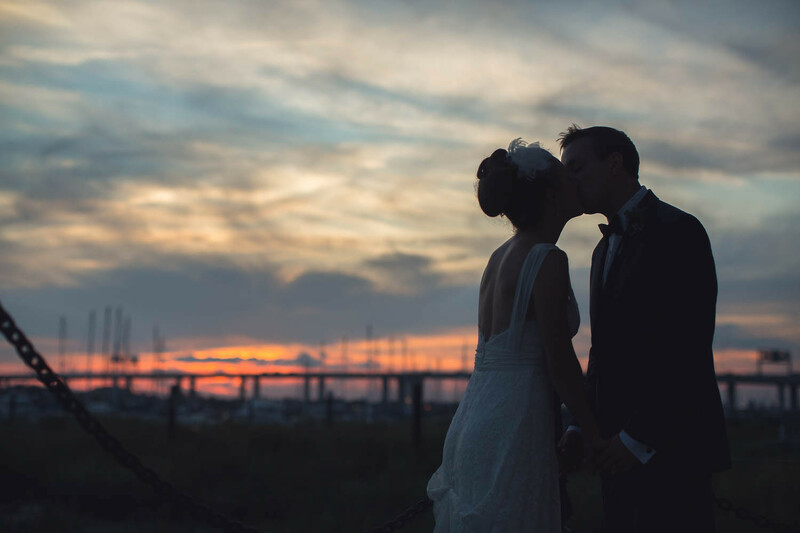 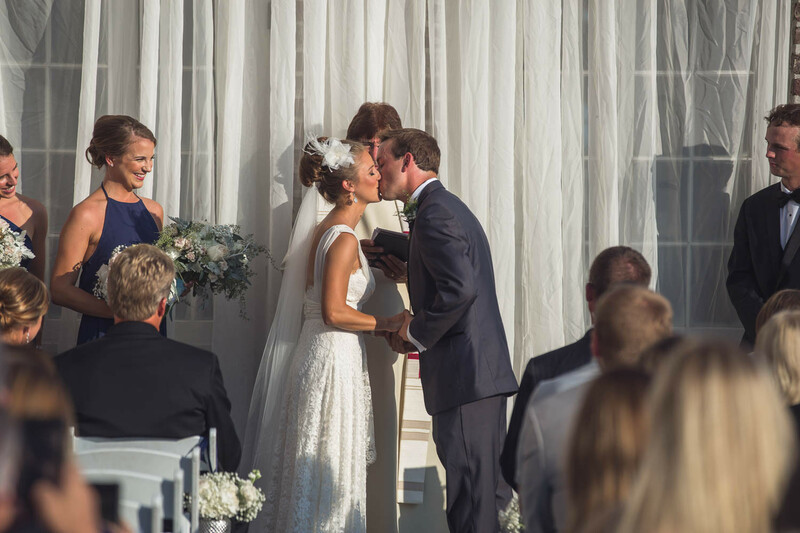 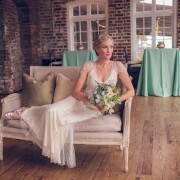 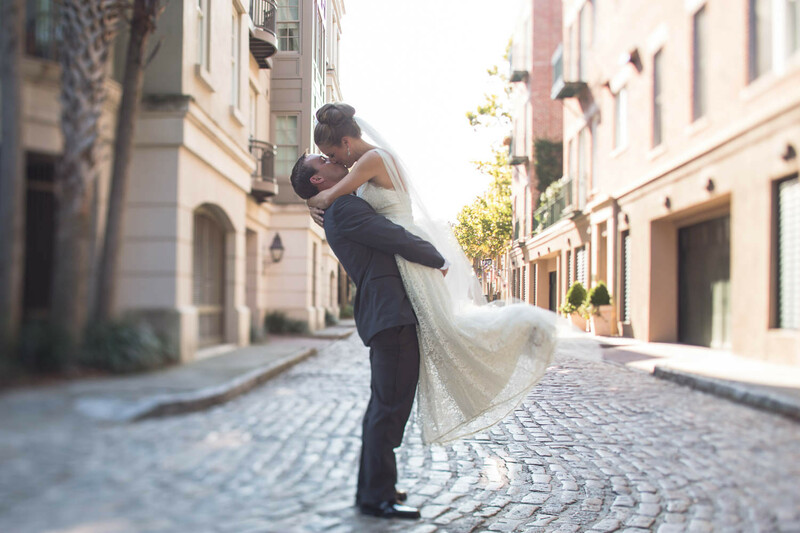 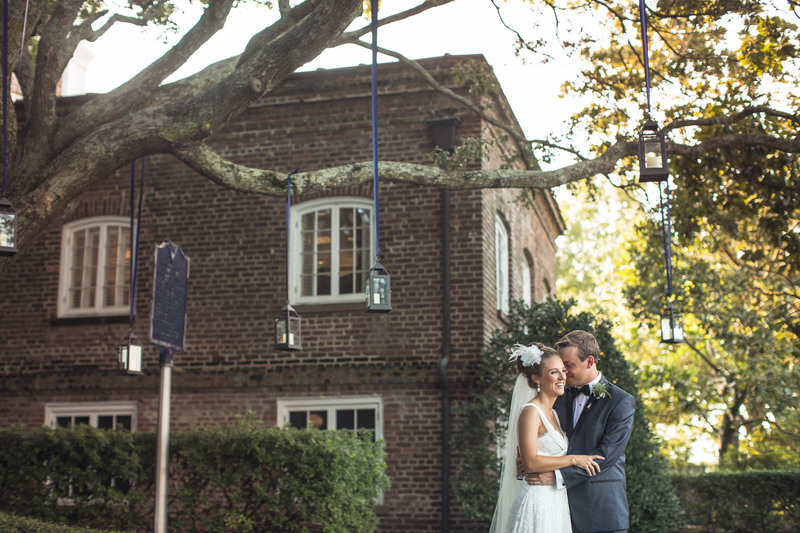 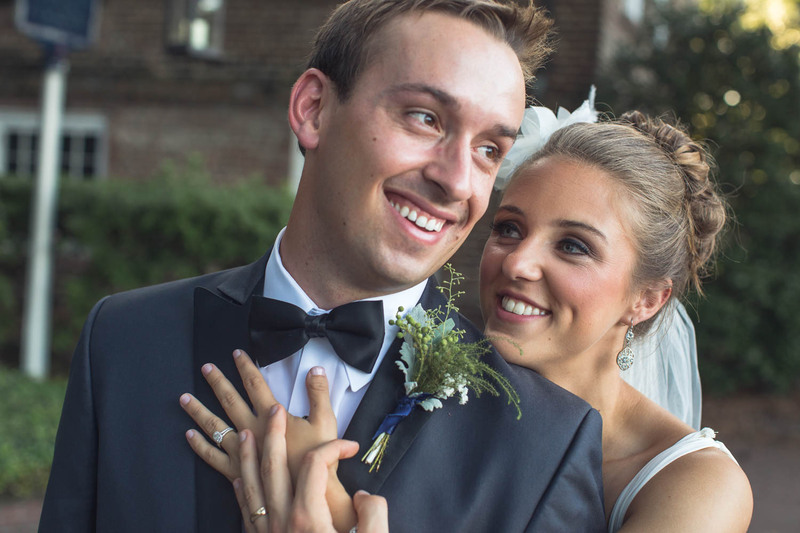 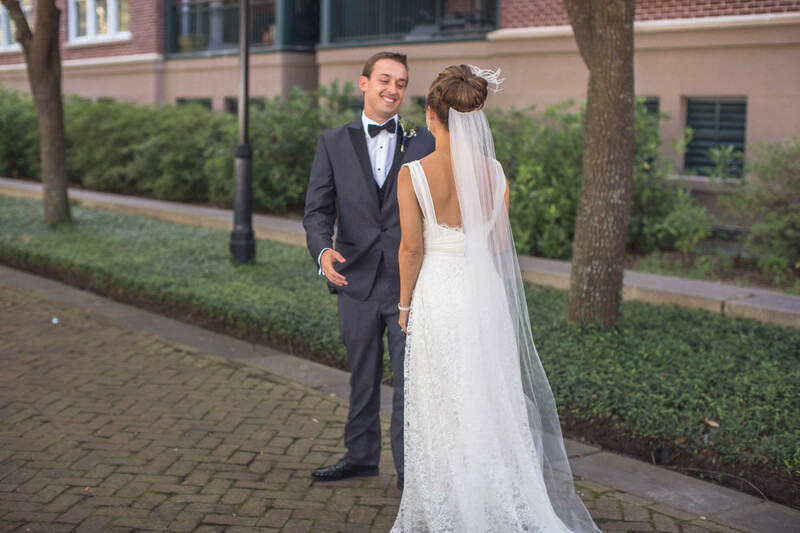 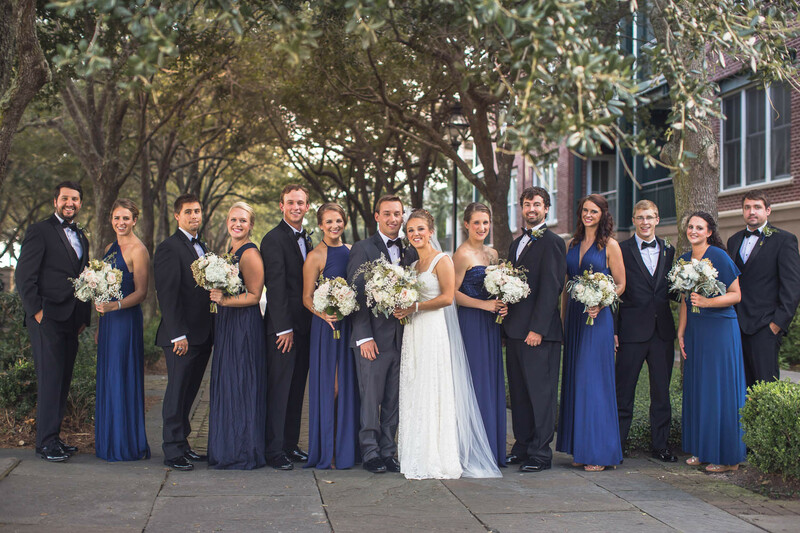 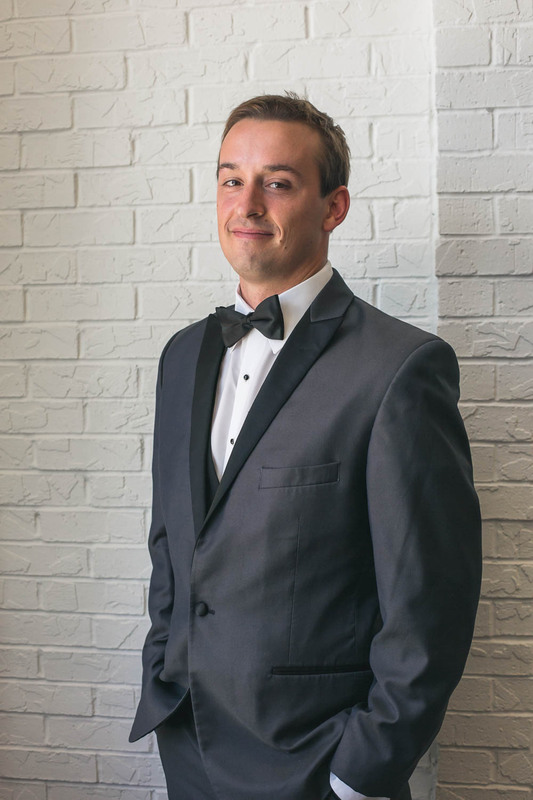 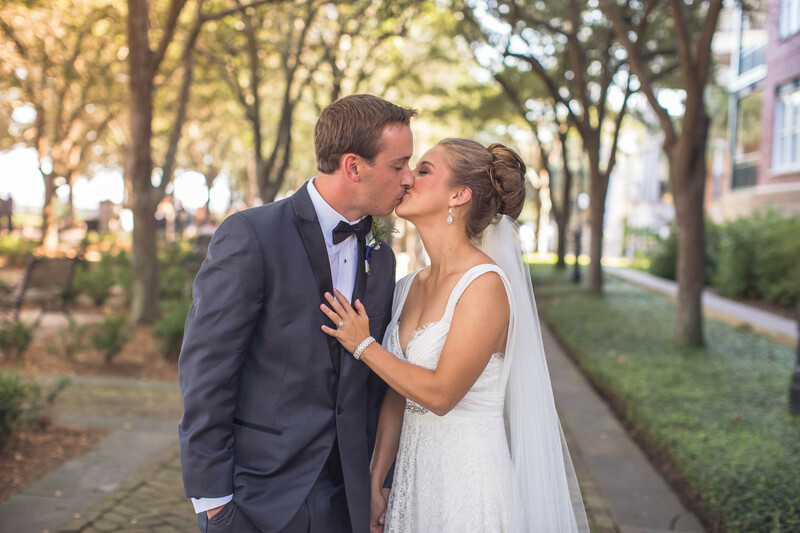 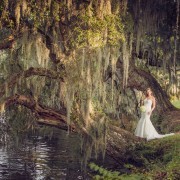 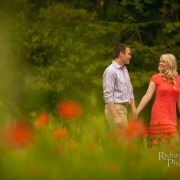 When Sutton and Patrick decided to get married, Charleston was the obvious choice! 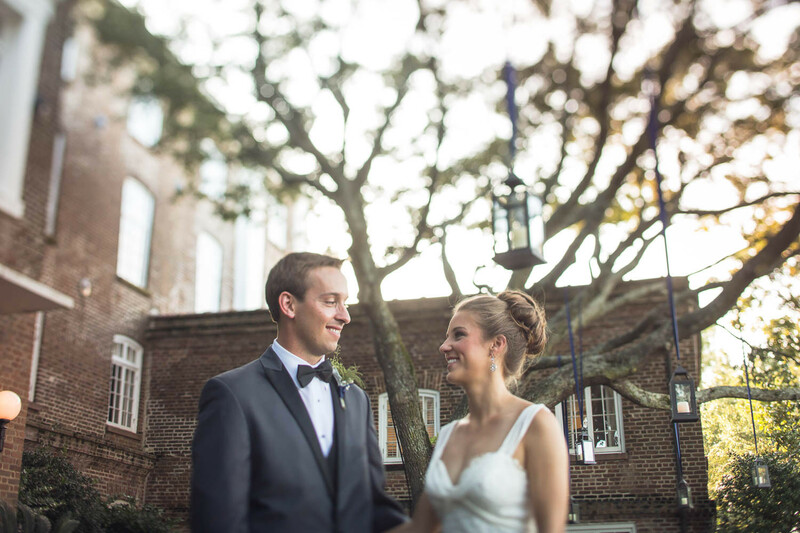 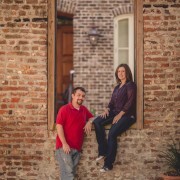 The two met in Charleston and fell in love here. 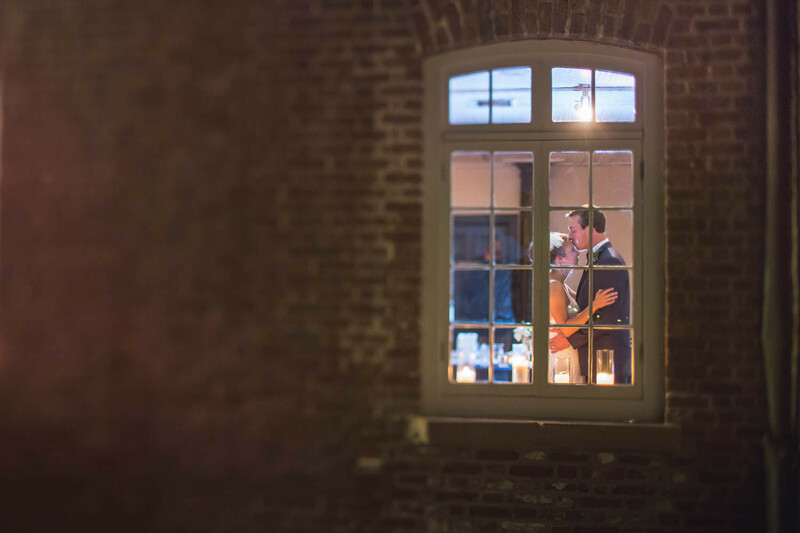 After choosing the Historic Rice Mill it was easy to see the natural beauty of the venue and go with a minimal rustic theme. 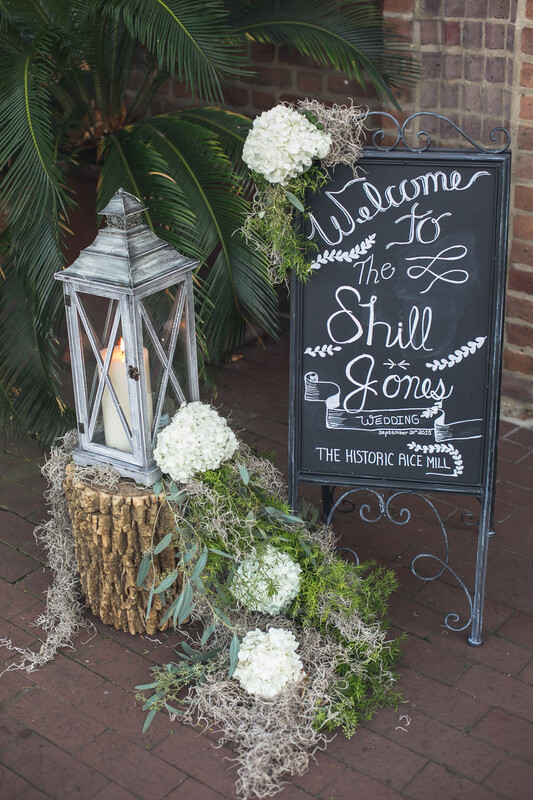 The venue was decorated with flickering candles and fresh flowers, all following the color theme of navy, gold and blush. 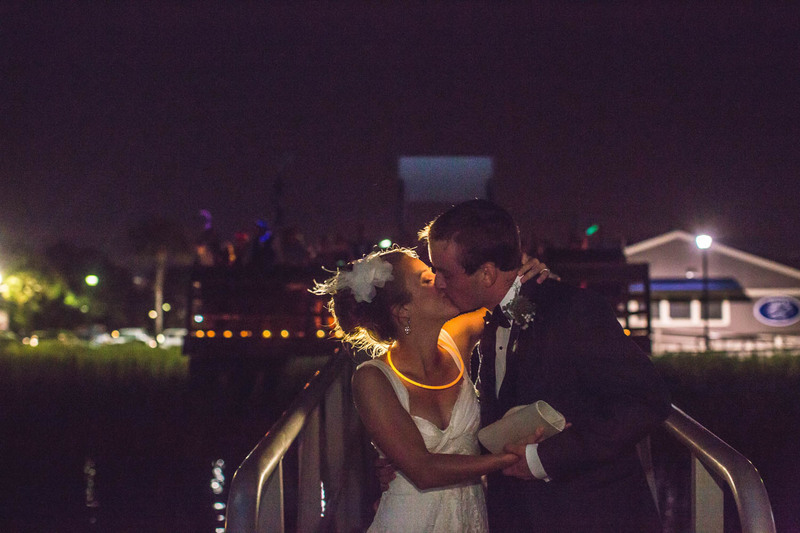 The two wanted wedding to be a huge celebration and to be fun, so they placed games just outside of the bar for a guests to play, a life sized jenga set and a corn hole set and of course, glow sticks on the dance floor!